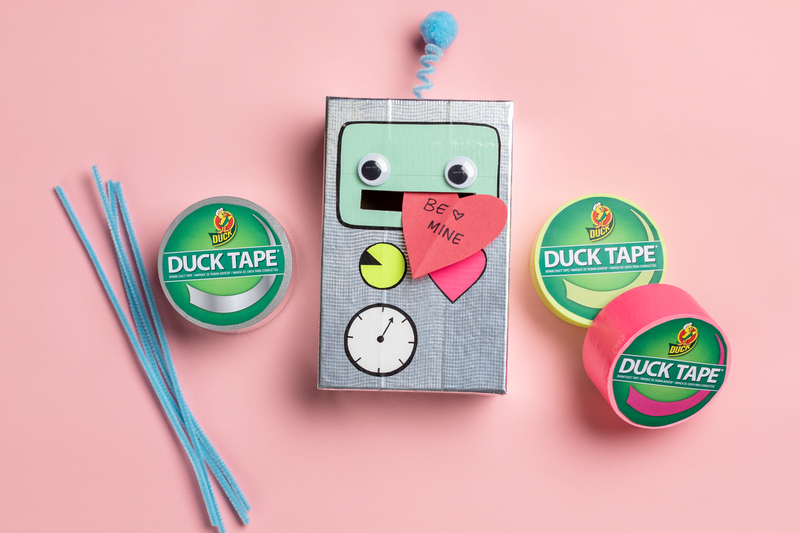 Get inspired by these Duck Tape® Valentine's Day boxes that are sure to impress your kids! Tip: before making these boxes, visit our How To: Treasure Chest Valentine's Day Box article to learn some helpful hints. 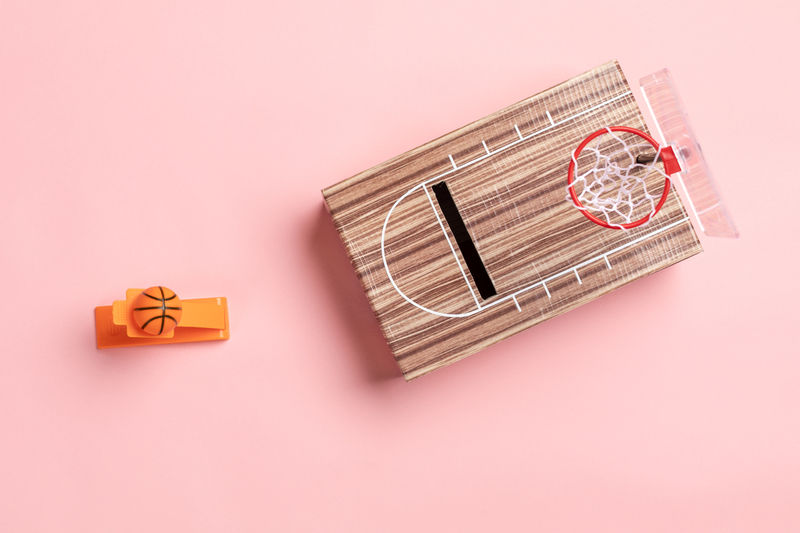 Let your sport's enthusiast practice free throws all day long with this basketball-inspired Valentine's Day box. 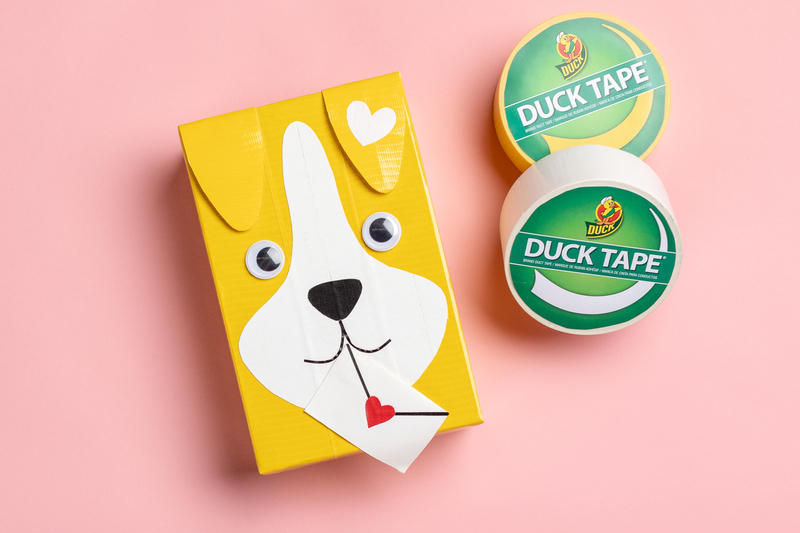 Show your favorite pup some love this Valentine's Day with a box made in his honor. 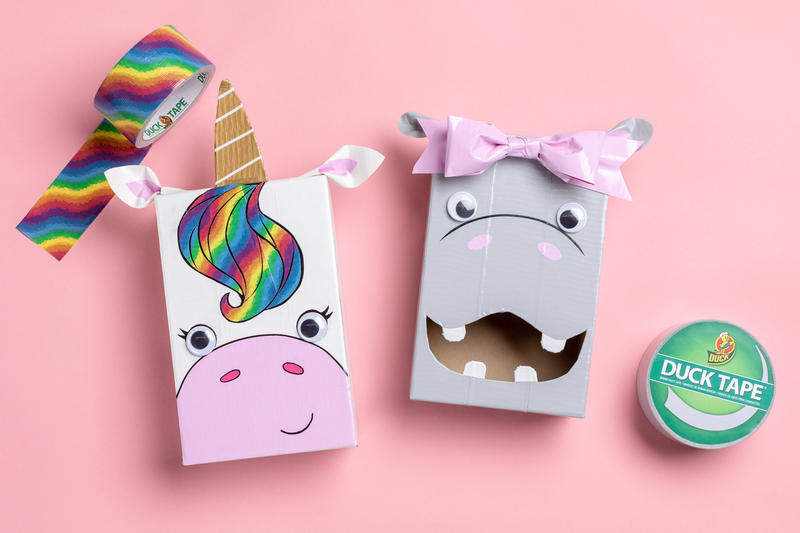 Hip, hip hooray to these adorable hippo and unicorn themed Valentine's Day boxes. Use bright Duck Tape prints and colors to add custom accents. Are robots and technology your thing? Build a unique duct tape robot box that's sure to shine. This video shows you how to repurpose and add personality to school supplies for the new school year.